Feeling a bit crappy today so maybe writing a new blog post might help a little. A sneaky biscuit and the first of episode of the new Girls series helped somewhat, but I'm still thinking about just calling it a day and getting into bed. *hand on head a la Greta Garbo. 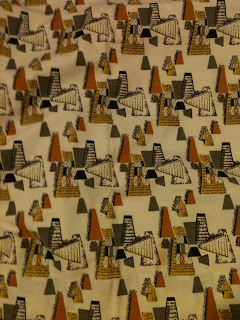 I just wanted to share a couple more bits of fabric. It's curtain fabric and from the vintage stash from my husband's Grandmother. She was a funky lady! It's so kitsch. 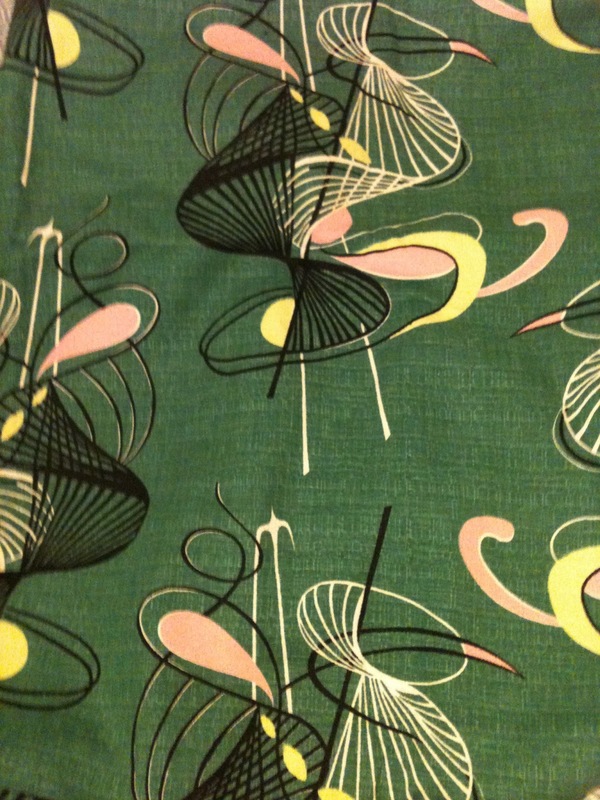 I am saving it for when I finally have a home of my own and it will be the curtains to my sewing room. In there I want it to be this sugary, flamingo'd, Elvis shrine that I escape to, one that is pretty and just the way I want it. With a reading chair when sewing gets too much (and it always does), candles, a record player...will I ever emerge into daylight again? 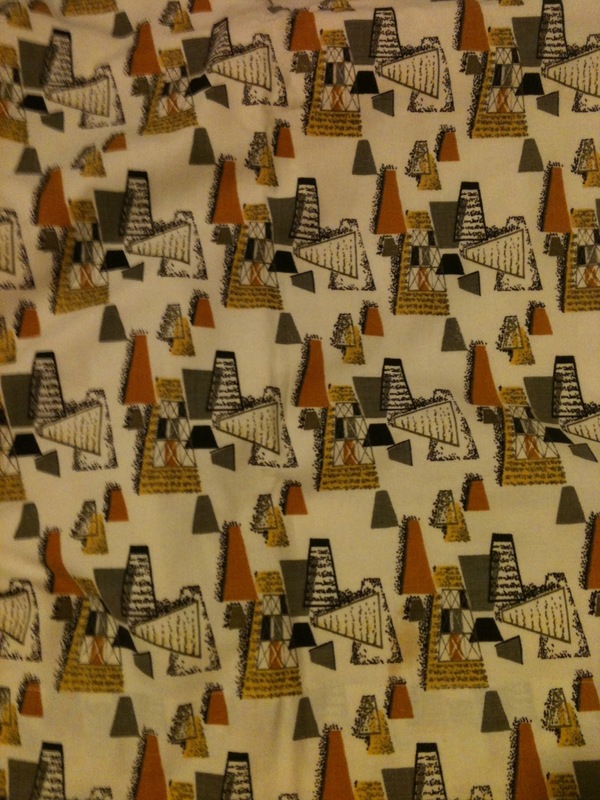 There's also this - also curtains, but I am going to remove the lining and create a day dress out of it - definitely in time for my holiday to Egypt as I think this looks a pretty perfect print. 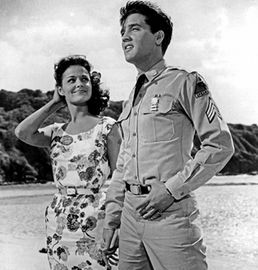 I want to make a dress similar to what Joan Blackman wore in Blue Hawaii. I love her in that film. So beautiful. Ahhh maybe I need Elvis. 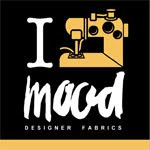 I have some updates on The Pledge that I am doing (no buying clothes in 2013, only sewing!) but I will save that for another post. I am working on having 2 dresses finished by the end of this month...she says!